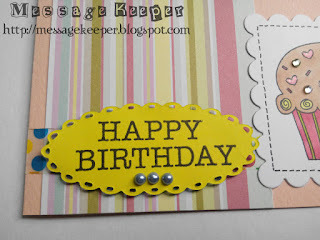 Made this card for my mom birthday which is tomorrow. She is coming over to my house for a short while before continuing her plan with my brother. 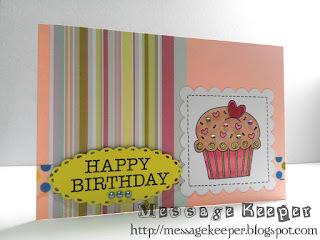 I also plan to bake her some fresh cupcakes so that she can blow some candles with my kids, her grandchildren. 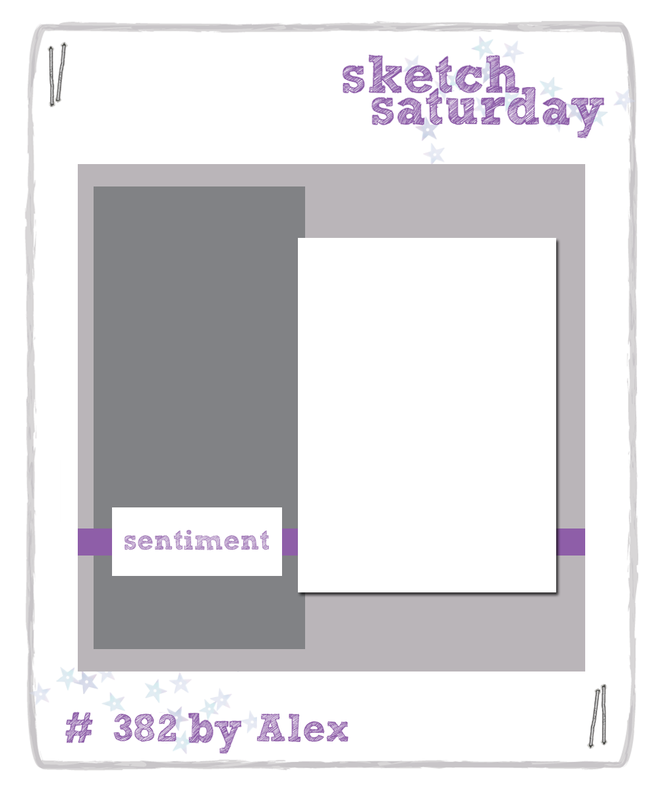 For this card, I adopt Sketch Saturday Week #382 as shown above. 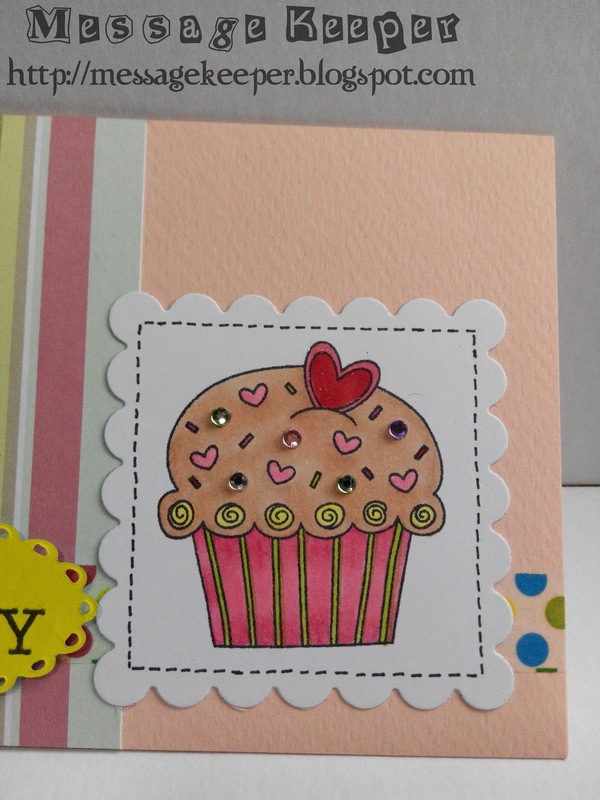 The cupcake is stamped on a white scallop square and colored using Copic markers. 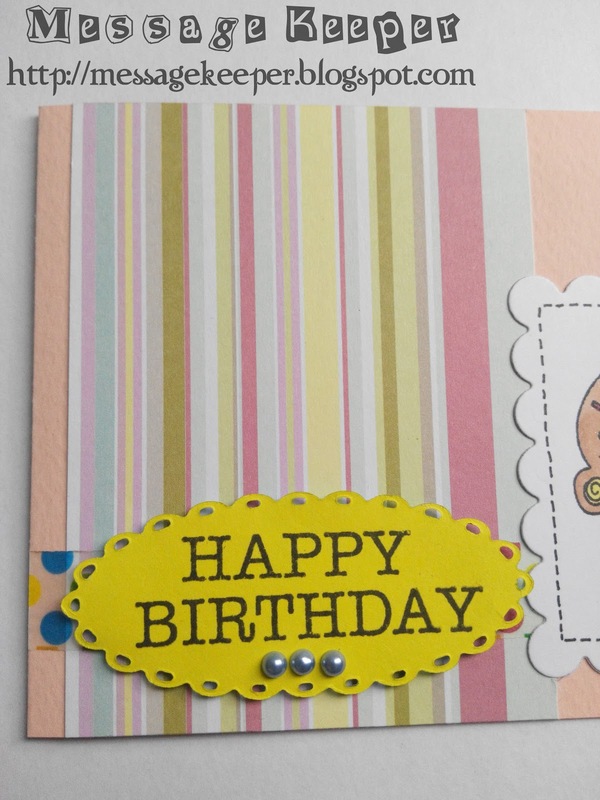 Than, some faux stitching are added to the scallop square edge using black ink. 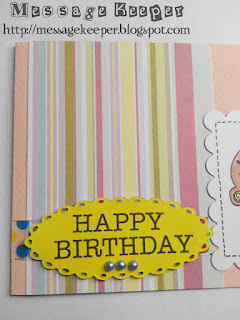 On a pink card base, a trimmed to size multi colors stripes pattern paper are attached onto it as shown in the sketch. 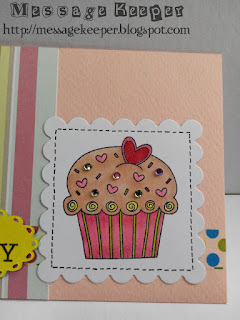 Then, a multi colors dots washi tape is attached onto the panel and card base as shown in the sketch. The scallop square is attached accordingly onto the card. 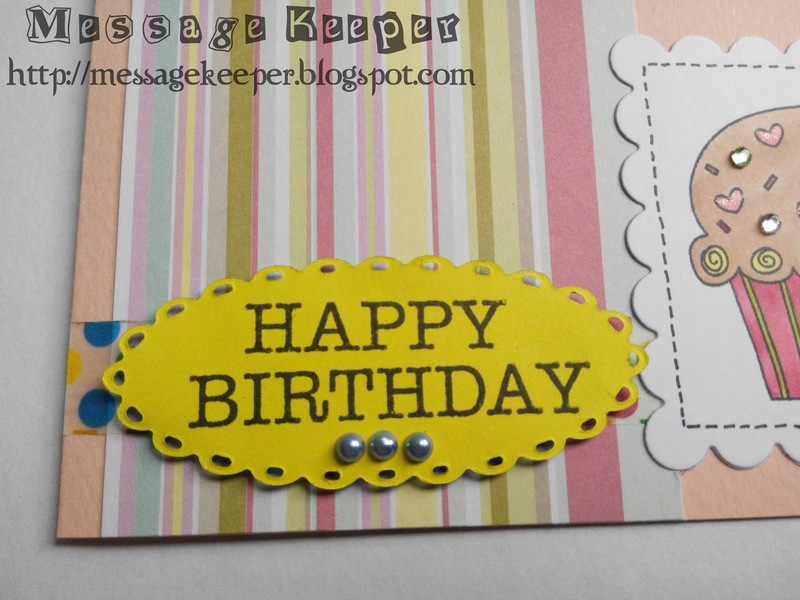 For the sentiment, it is stamped on a yellow scallop oval and attach onto the card using dimension foam. The card is finished by adding some blue pearls to the sentiment and colored gems to the cupcake as sprinkles. 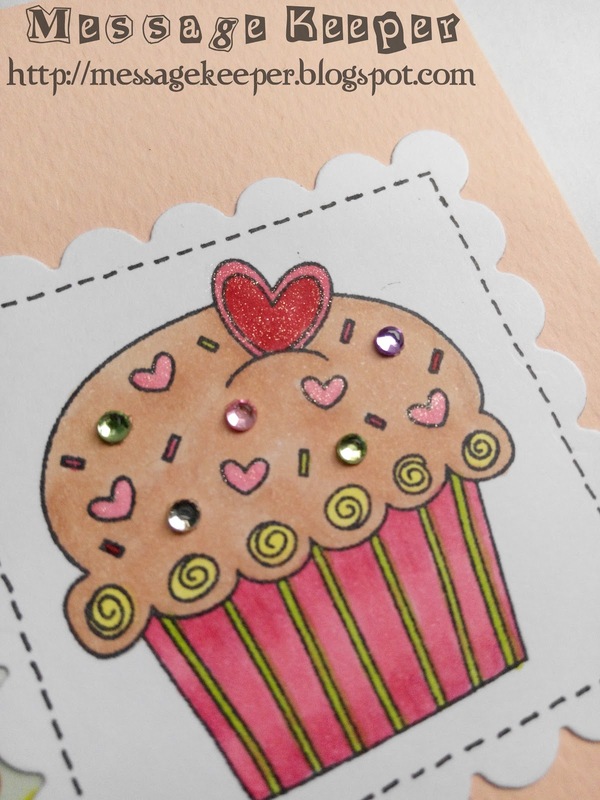 Lastly, I apply some glitter onto the hearts to make it sparkle.